Smooth fleece jacket with thumb grip in a sporty design with contrast colour on shoulders and sleeves that works perfect as mid layer. Feminine fit. 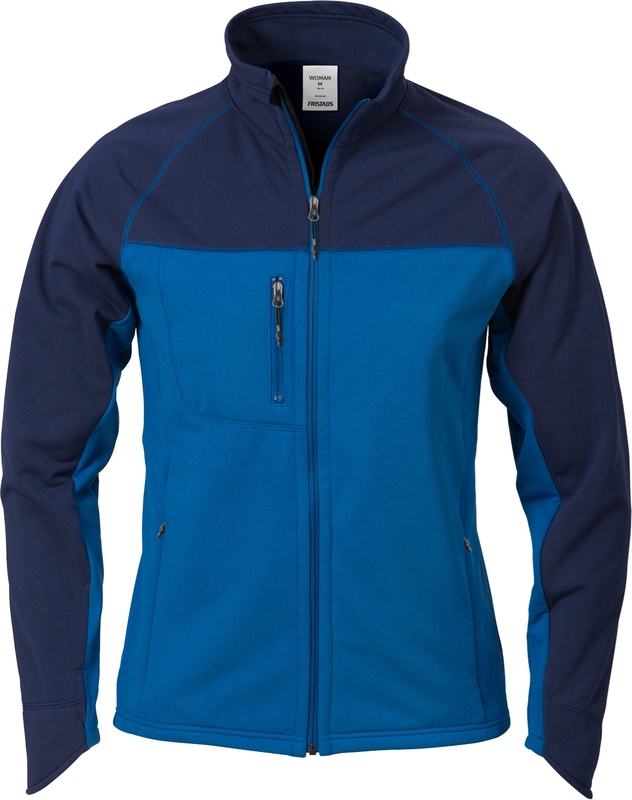 Full-length front zip with inner placket / Chest pocket with zip / 2 front pockets with zip / Extended back / Raglan sleeves / Thumb grip.